Why Have My Wisdom Teeth Removed? Does It Hurt to Have Wisdom Teeth Pulled? The level of discomfort truly depends on the circumstances surrounding your wisdom teeth and overall oral health. If the teeth are impacted, removal will be a bit more uncomfortable. If they have become severely impacted, the teeth may need to be broken and extraction pain could be increased. However, without having impacted wisdom teeth, getting them pulled is relatively easy! We wouldn’t describe the treatment as “pleasant,” but it surely isn’t as scary as some make it out to be. Our wisdom teeth extraction specialists will give you a personal recovery timeline. We have even had patients describe the procedure as painless! It really just depends on the nature of your teeth and your personal pain tolerance. 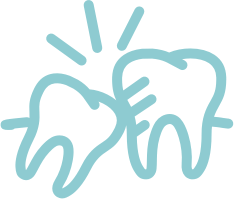 For more information regarding our wisdom teeth removal services, contact Magnolia Dental today!